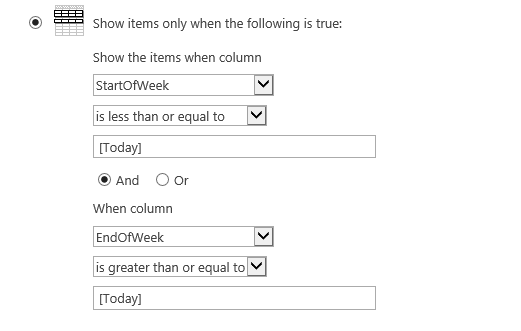 OK it take me a while, but here is the solution: You need to create 2 calculated columns for Month filtering and 2 calculated columns for Week filtering. View with filtering for each. 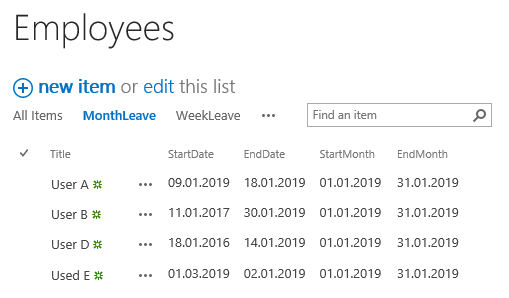 EndDate in the formulas is the EndDate internal name of the our colum "end date". Replace ; with , depends on environment localization. It worked well for me. Hope you like it! 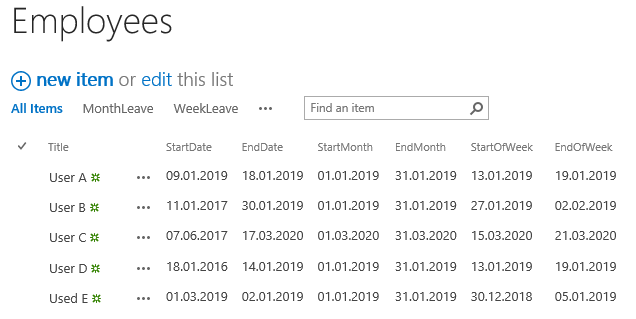 CAML Queries instead of SharePoint Views: Replace (Today) with date in format YYYY-MM-dd. Not the answer you're looking for? 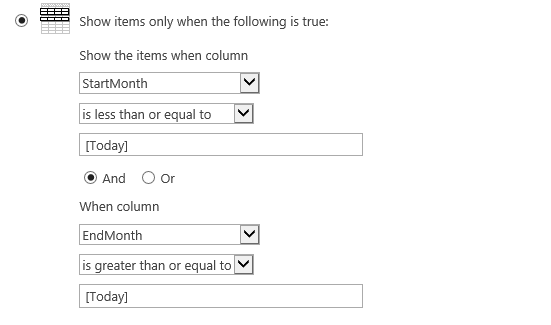 Browse other questions tagged sharepoint-online caml-query sharepoint-list or ask your own question.